Although there are more anti-bullying programs, Matt's Safe School Law in Michigan and other state laws in the USA to stop bullying, school bullying has increased by 50% in the past decade. When we first started our Abuse Bites program in 2005-2006 1 out of 10 students were bullied, now it's 1 in 5. 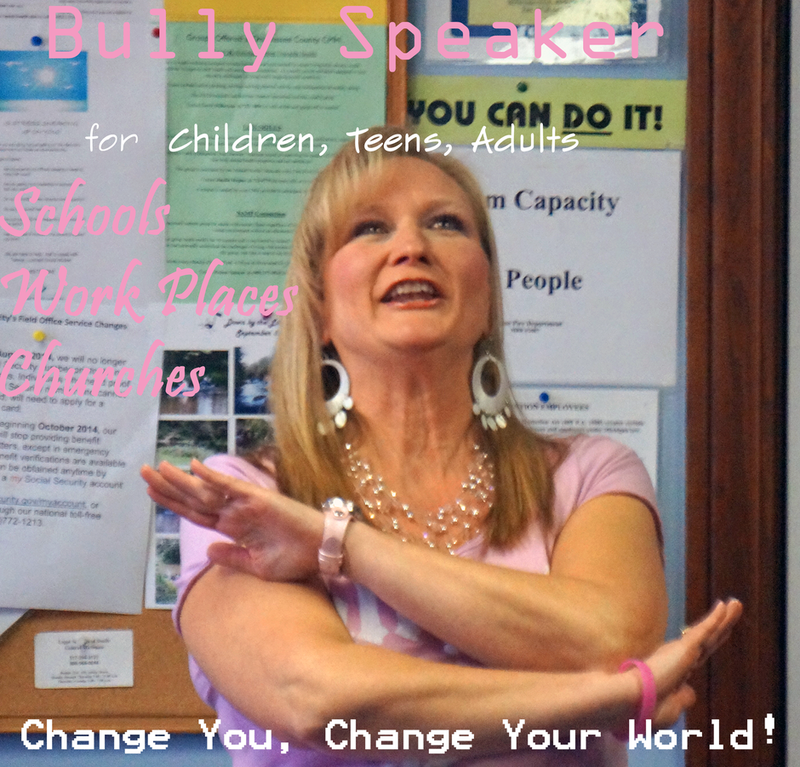 I often hear that anti-bullying programs make bullying worse, yet our presentations encourage and empower others to make a positive change and break the victim mentality from their lives so everyone can survive a bullying encounter. Our program has been proven to bring change in 89% of those surveyed who were either bullied or bullying. "Change You, Change Your World," Lisa Freeman says. Read the reviews! With all the roar about school bullying or kids being bullied in school, parents are blaming schools and school officials for the bullying problem. We tend to think that's where the bullying problem lies--within the four walls of our schools. If that were true, that would be a simple solution to this devastating problem that is taking lives at a rapid rate every day in our communities. But bullying isn't just in the schools and something our kids face each day, bullies are everywhere, in our churches, our work places, and even our homes. Bullying is a huge problem that takes community effort to resolve. Most bullying occurs due to jealousy and the bully wanting to control others. Bullies have often been bullied or abused themselves, so therefore they act out. Some do it to get or have friends. Others think they are merely joking, and aren't aware that they are hurting people. Bystanders are bully too, by witnessing bullying, walking away, and doing nothing to help the target or victim and so the bullying cycle continues. d. Talk to your children about bullying (physical, emotional, verbal, sexual, peer pressure) and explain that hurtful jokes, leaving others out, or not accepting those different from them is a form of bullying. e. If your child is the victim/target of bullying at school, report it and try to work with your child's school, but if at any time you don't feel comfortable with the way the school is handling the problem, you can switch schools or have them schooled at home and have a tutor come in. f. Never approach the child who has been bullying your child or their parents, always contact the school or authorities. g. If you have a bully in your home who is out of control seek outside help. h. Individual and family counseling is always a good place to start when trying to stop abusive or bullying behaviors. i. If your spouse is being violent, you may have to make a safety plan and escape with the children until that person gets the help and healing they need. g. Understand that bullying often leads to retaliation when not handled immediately, and realize that many times victims are punished when they are forced to lash out because they feel as it was their only choice--many times it's the victims/targets who are punished and not the bully. h. Take advantage of anti-bullying programs like Abuse Bites that encourage and empower students and family, as well as school staff to break the victim mentality, help bullies change, and help bystanders to speak up. We're working with you, not against you. i. Many schools are being sued because of bullying that is not handled and dealt with and leads up to a child committing suicide. Prevent suicide by educating your students through programs like ours at Abuse Bites. We are passionate about changing hearts and saving lives. c. Don't use your position to bully others. Let us help you stop division and bring back unity to keep your congregation growing, empowered, and strong!